Right now is the perfect time to dive into CTFM’s delicious tapas menu! Starting somewhere in the misty past, bars and inns in Spain began serving small, complimentary portions of food as coverings on top of the drinks they served. This gave rise to the name ‘tapas’, derived from the Spanish/ Portuguese word for ‘cover’ or ‘lid’ because of the small dish which was placed over the top of the drink. You still get traditional ‘tapas bars’, where tapas are eaten standing at a bar, but today tapas can refer to any small dish, whether it’s an appetiser, starter, or as part of a main course. Tapas has also evolved into its own, internationally-recognised style of cuisine, with Spain even hosting a National Tapas Competition every year in November. 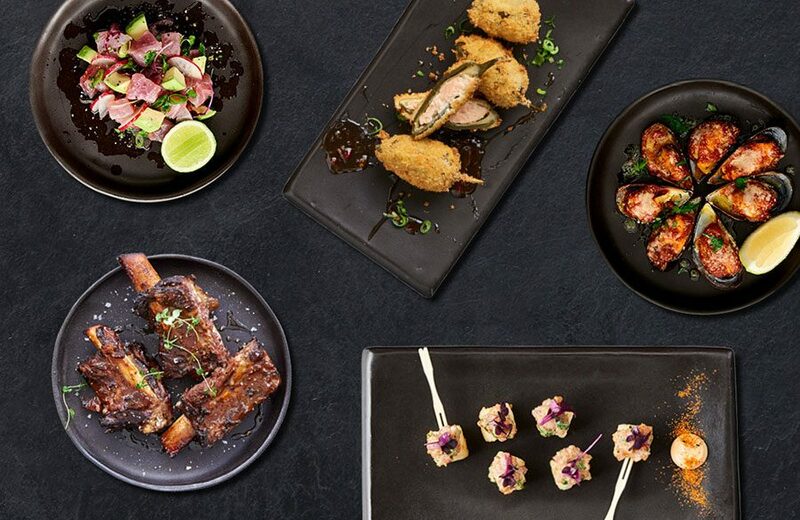 At CTFM, we’ve taken the style and flair of the tapas experience and turned it into an amazing way to enjoy a wide range of delicious dishes all in one meal – we’ve even dedicated three whole pages of our menu to our tasty tapas experience. There are two essential things that make the tapas experience different: firstly, because most tapas consist of bite-size portions, you get a complete flavour experience with every mouthful. Each bite is designed to deliver a whole world of texture and taste that will sweep you off your feet. Secondly, tapas are for sharing. 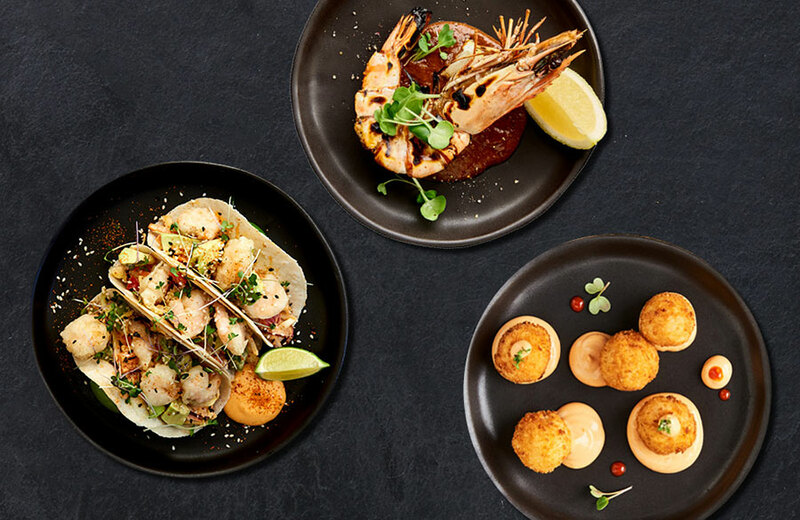 We’ve all been out to a meal with someone who’s ordered something we really wanted to try – tapas allow you to share in the enjoyment of a meal while making sure your taste buds don’t miss one tasty morsel. If you enjoy taking your taste buds on a taste adventure, there’s no better way than ordering tapas. With our new tapas menu, we’ve broadened our range of tapas even further. 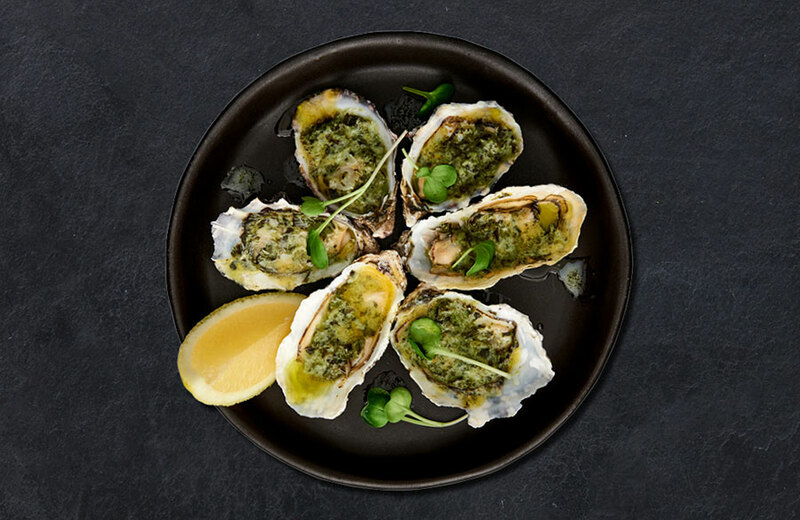 Our grilled oysters topped with basil pesto and butter are unequivocally mouth-watering. Deliciously succulent individual beef ribs add a touch of turf to the surf. Ebi bites offer delectably crunchy tempura shrimp. And even better, our wildly popular poke bowl forms a great centerpiece to any tapas selection. Taken together, it’s easier than it’s ever been to create a meal everyone will love. So, who will you take out for a tapas adventure?